MakerDAO, the project behind the decentralized stablecoin Dai, will partner with Tradeshift, a multi-national company specializing in supply chain payments and marketplaces, as revealed at the TechCrunch Sessions: Blockchain event. The collaboration will focus on bringing rapid liquidity to Tradeshift’s audience, which are small and medium-sized businesses around the world. To facilitate this, Tradeshift has added the Dai stablecoin as a payments option to their Tradeshift Cash feature. The trade receivables market has very tight margins, which leaves no room for a volatile digital currency as instrument for settlement. The Dai Credit System is a unique vision for a transparent and stable token that allows anyone to represent real-world currency settlements on the blockchain. It is a vision that we are very excited about. Tradeshift, which has offices in 12 countries, believes that Dai’s Credit System can establish supply chain liquidity for businesses, developers and investors. Businesses can create short-term and real-time financial models from trade receivables, purchases and digital assets, while investors can make use of the tokenized form of real-world assets on the blockchain to work with low-cost and seamless financial applications. Developers can build applications for investors that involve practical B2B use cases that take advantage of blockchain’s inherent advantages of security, speed and transparency. Our partnership with Tradeshift proves the potential of the blockchain to level the economic playing field for businesses of all sizes around the globe. At the same time, we’re delivering new options for investors by creating an entirely new class of investment vehicles with vetted risk, based on real world assets. A pilot test of this supply chain liquidity marketplace is currently on-going via Tradeshift Cash. It focuses on micro, small and medium sized businesses, who stand to gain most from such a marketplace. These entities will receive access to instant cash flow that can help them solve growth and stability challenges. Stablecoins have been touted as a solution to cryptocurrency’s volatility and can serve as a hedge against it. 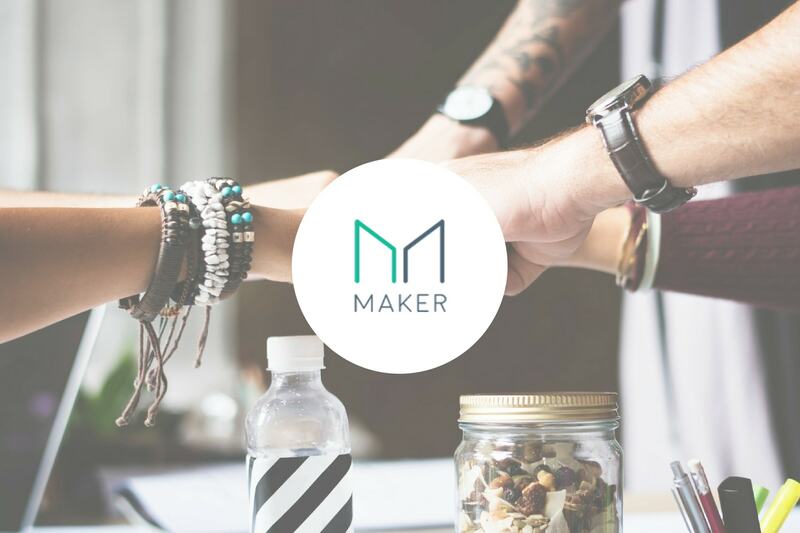 MakerDAO allows users to receive Dai against collateral, and does not involve any third-party. The stablecoin market has received an increasingly large amount of interest from venture capitalists and continues to grow, with potentially great long-term influences on how crypto-trading operates.